Clarafosca is an illustrator from Barcelona who is highly motivated and passionate about art in general. She have a Fine Art background that led her into graffiti, painting and illustration for many years, nowadays she’s mixing illustration and graffiti, which is a combination of her both passions. Clara have learned a lot those years from her own experience which provided her strong artistic and technical skills to develop style and new creative skill, she is very dedicated to her work. Clarafosca always looking for new challenges and she is open to participate in new projects. Clarafosca es una ilustradora de Barcelona apasionada y motivada por el arte en general. 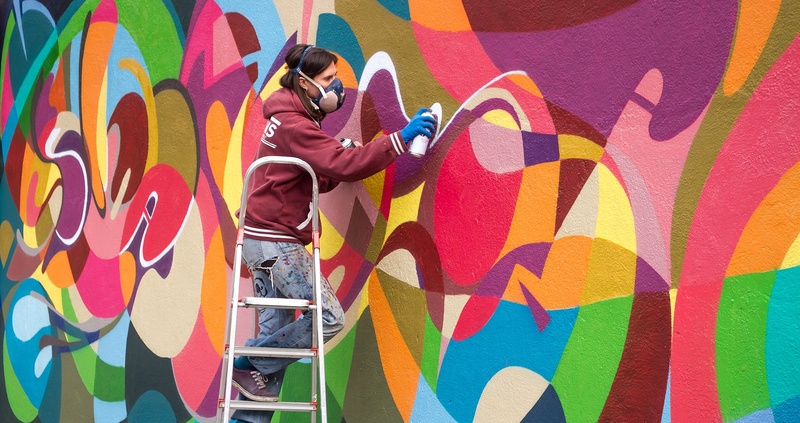 Sus origenes están en el graffiti, la pintura y la ilustración desde hace años, actualmente está mezclando la ilustración con el graffiti, lo cual le permite una buena combinación entre sus dos pasiones. Clarafosca siempre está en búsqueda de nuevos retos y abierta a proyectos creativos. Thanks to my friend and illustrator Eloi Matas for all support with my website.